Replace your cooler belt at great prices here at PlumbersStock. It's perhaps the most commonly broken component of your evaporative cooler unit would be the belt. Swamp cooler belts are essential to the function of the cooler motor. The belt is very susceptible to wear and tear. Regularly monitoring and maintaining your evaporative cooler belt is always a good idea. 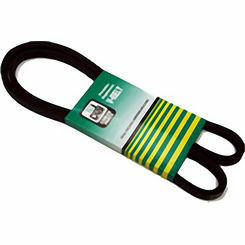 PlumbersStock offers a wide variety of Dial evaporative cooler belts. Be sure to browse around our site to find all the discount cooler parts you need. Here is our guide on buying and replacing your replacement belt! 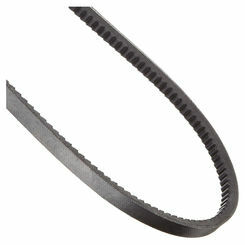 Does Your Swamp Cooler Belt Need Replacement? If you find that your swamp cooler belt is experiencing any of these issues (outside of adjustment problems) then you may need a new belt. What Type of Belt Do You Need? Unlike many parts in the cooling system, evaporative cooler belts are relatively congruous, meaning you can use almost any belt on almost any system. And, while brands may determine the quality of the belt you receive, most coolers accept most brands, so this is one aspect you won’t have to worry about. However, when choosing your cooler belt, there is one thing that you need to keep in mind, and this is the size of the belt; fortunately, it is very easy to determine what size you need. All you have to do is locate the part number on the underside of the belt and match that with the product you buy on our site; or, if you can’t find that number, take it to a store (or call us) to find which would work for your system. NEVER measure the belt, or “guestimate” what size you need, as the swamp cooler belt will stretch during use and throw off what the correct measurement should have been. 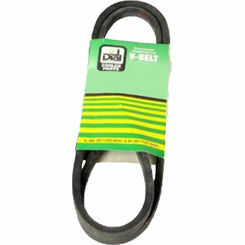 Once you choose the belt, it is an easy task for replacement. 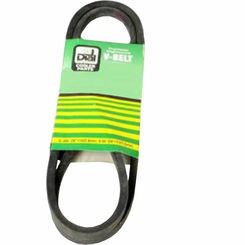 Simply loosen the motor’s bolt and nut, slip the belt off, and put the belt on the way the old belt was before removal. Don’t forget to find out which belt you need, and don’t forget to turn off the system (and unplug it) before working on it! Test once job is done to ensure you have done everything correctly. If you need any more help choosing or installing your evaporative cooler belt, call us today! We can give you all the help you need, regardless of the problems you are having. And, as always, don’t forget our wide variety of plumbing and HVAC parts, products, and components! PlumbersStock is your home for all this and more, so always think of us whenever you need low prices and high quality HVAC parts.